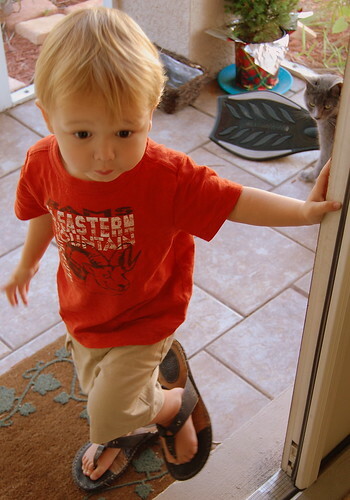 This afternoon I was greeted at the door by this bit of handsomeness, opening and closing the door from the outside. Oh, flip flops. I remember those.